Is there a one off integration / training fee? Do you pay up front based on annual estimates and what if these are higher/lower than anticipated? What ‘cool features’ are available as standard and which cost extra? What is their reputation when it comes to deliverability – does the tool assist CAN-SPAM compliance, whitelisting, content optimisation? How quickly on average will emails take to deliver once you click send now? What do existing customers say about them in reviews? How exactly does the application integrate with Salesforce? How does the app affect standard objects and what custom objects and fields will be required? How are Salesforce users set up for access to the application and how flexible are permissions around data and template asset visibility? How do you segment groups to receive emails; campaign members, reports, individually? How do you map fields for personalisation and are there any limitations? How easy to use and intuitive is the template-builder? Do you have access to a library of pre-built editable templates? Can you create email content quickly without html skills? Can you preview content to optimise for different devices? How clunky, smooth is the transition between Salesforce and email app screens? Is the screen design user-friendly? 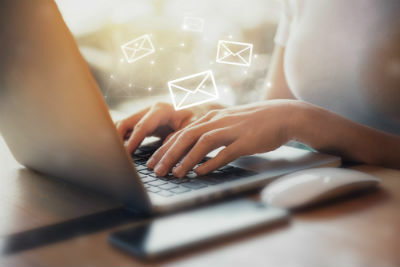 Is the email send process intuitive and simple to follow? Where is the customer support team based? What are their hours of availability and standard response times? What do existing customers say about levels of service? What professional services are available for design, consulting? Do you have access to best practice resources or a user community? What level of automation is available as standard – single campaign or multi-level drip campaigns? Can you trigger email sends based on behavioural or event-driven criteria? Can you easily create custom triggers using an API? Is the application scaleable to grow in line with your marketing objectives? Does the provider have a roadmap for development? Are there regular planned upgrades to functionality and how are these communicated? Is there access to code via an open API and how easy it is to develop? What are the data implications if you switch providers in the future?